Home > Entertainment > Williams pregnant? Tennis superstar Serena Williams appeared to suggest she is pregnant, posting a photo of herself in a bathing suit on the social media site Snapchat with the caption "20 weeks." The 35-year-old, who will return to the No. 1 ranking in the world next week, later deleted the photo. A representative for Williams declined to comment on whether the post was a confirmation that she is pregnant. Her victory over older sister Venus Williams broke a tie with Steffi Graf for the most Grand Slam singles championships in the sport's modern era. Serena Williams has not played since, citing a knee injury. Fans reacted with a mixture of awe and glee at the news. 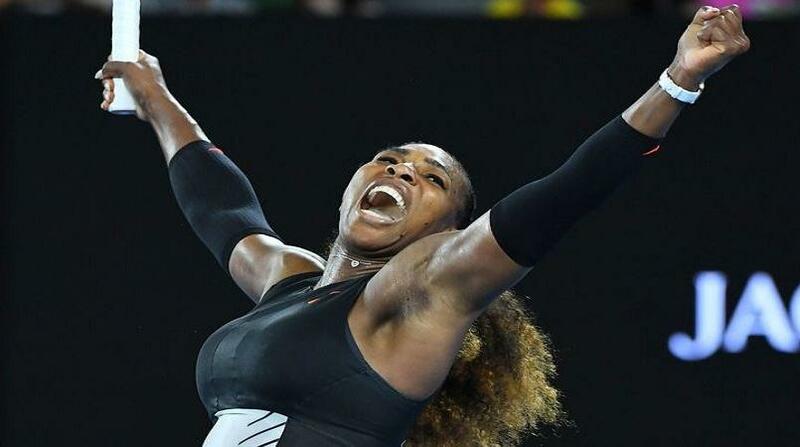 "Serena Williams was pregnant when she won her 23rd grand slam tournament at the Australian Open. And did not drop ONE SET. Let that sink in," wrote Twitter user @noelleharmony on the social media site. "Serena Williams' fetus is already ranked 200th in the world," @BigHeadSports tweeted. Other women have left the tour to have children and returned at a high level, though none has done so at Williams' age. The Belgian player Kim Clijsters retired and had a child before coming back at age 26 and winning three Grand Slam titles as a mother. Photo: Photosport Serena Williams celebrates victory over Nicole Gibbs.